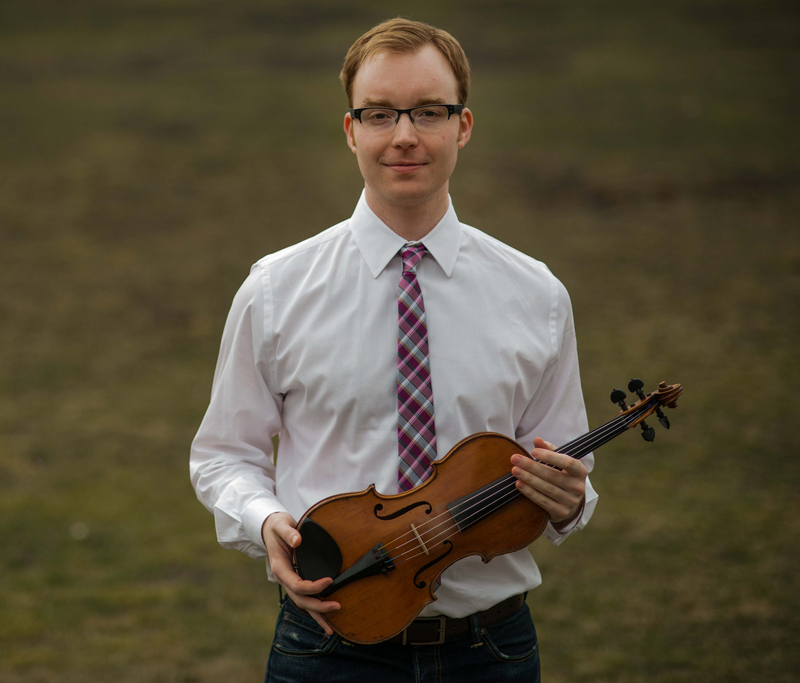 Matt Brown will perform American roots music on Thursday, April 9, at 1:30 p.m. in the Walker Library Atrium, where he’ll feature a vast stockpile of toe-tapping square dance tunes, nostalgic solo pieces and a variety of songs from classical to country. Brown will deliver a free mini-concert for students and faculty and later will host, alongside Center for Popular Music Director Greg Reish, an old-time fiddle workshop and open jam session, beginning at 7 p.m. in the CPM Reading Room, Mass Comm 140. Brown, a Pennsylvania native, enjoys sharing songs from his home state, but much of his repertoire comes from the Appalachian South. He learned the fiddle as a child and has since mastered the guitar and banjo. His mentors include Ginny Hawker, Bruce Molsky and Bruce Greene. Brown has performed at a variety of prestigious venues including The Kennedy Center, Annenberg Center and the Wheatland Music Festival. He’s an accomplished solo artist and collaborator and has released four albums featuring guest artists such as Tim O’Brien, Ben Krakauer, Brittany Haas and Mark Schatz. Brown has taught workshops at the Berklee College of Music, the Old Town School of Folk Music and Morehead State University. In addition to being a performer and a teacher, he is also an active producer, a studio musician and a partner in 5-String Productions, an independent record label specializing in acoustic music. He recently formed The House Carpenters, a new Chicago bluegrass band that specializes in bringing an old-time and early country music repertoire into a bluegrass context. Brown draws from several American traditions, including old-time, blues, Cajun and bluegrass, and he loves singing ballads that harken back to the British Isles. The Center for Popular Music is an archive that holds more than 1 million items related to American vernacular music traditions, encompassing the full range of styles in popular music, folk and traditional music, sacred music and community band music. The materials are wide-ranging and include, in part, early American sheet music, songsters, and broadsides; sound recordings in all formats; published scholarly books and periodicals; unique archival collections; multimedia digital collections; and databases that offer the latest marketing statistics. For more information on Matt Brown, please click here.